Does your preschooler know the letters of the alphabet and their different sounds? Find out with our free, printable preschool activity, ‘Torn-Tissue Alphabet’! 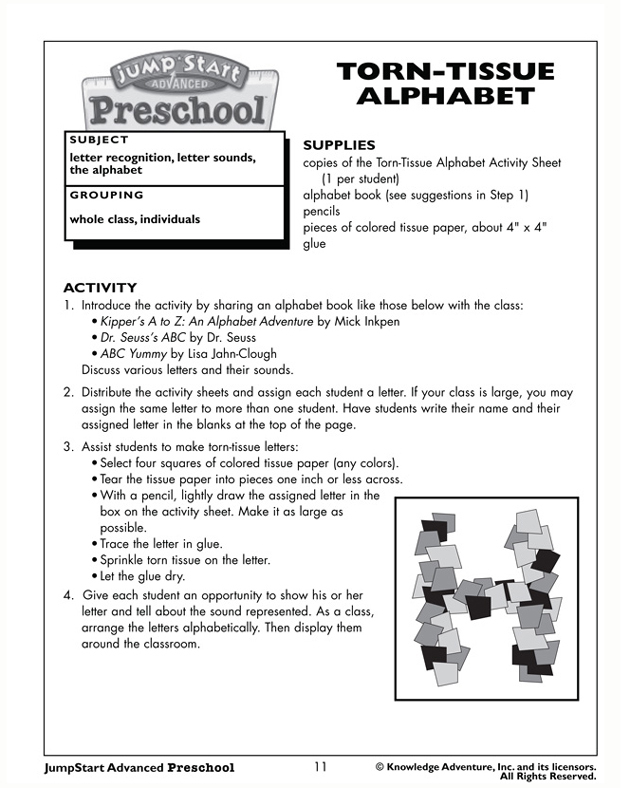 This activity is a great classroom activity that teachers can engage preschoolers with to strengthen their understanding of letter sounds. Use preschool lesson plans like these and you will have no trouble inducing active participation from the tiny tots!